On this page you will periodically see highlights and synopsis of Cliff Page's Issues and Positions. To gain a fuller insight and learn more, download his full postion paper by clicking the button below, Download it for easier readinng or email and share it with your friends in its PDF format. You can also view his " Positions at a Glance ", for a quick summary. Download and share: "Issues and Positions - A Path to the Future"
If Portsmouth was stung with the kiss of death when it lost its passenger railroad service to the automobile (which created urban sprawl and sucked the financial blood out of our commercial body), high speed passanger rail can revive our economy once again. Rail can make us not the poorest and most highly taxed City in the region, but the lowest taxed, and wealthiest City in Hampton Roads and revive our Downtown businesses. We previously were the transportation hub of the area and we should reestablish that position once again. The opportunity is prescient and obtainable at this moment. To achieve this revival takes a multi-faceted approach to inter-modal transportation that will be comprehensive, require long term planning and strategies, commitment and creative financing and novel combinations of government, corporate and public participation. Much of the needed foundations are already in place in Portsmouth in the form of private right-of-ways, railroad equipment and skills, terminal properties, feeder lines, and existing working relations between CSX, NSC and the NPBL railroads and our City. The Midtown tunnel can be modified to accommodate a rail shuttle link that will benefit Norfolk and Portsmouth. This connection will make Norfolk’s Tide a practical and more viable means of urban transportation, while creating real destinations to important work, health care, tourism, education and to the Norfolk and Portsmouth Downtowns by affordable rail transport. 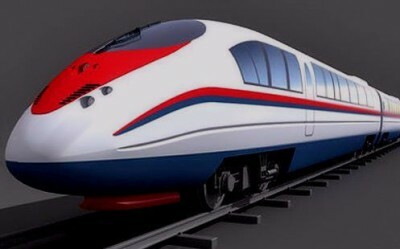 Importantly, it will provide an impetus for Norfolk to extent its light rail services to the Naval Base which would be a of huge benefit to both our cities, the Navy, ODU, TCC, NSC, Sentara-Norfolk General EVMS, SIU, NOAA , Corps of Engineers, USCG Atlantic, the 5th Coast Guard Headquarters, NATO Atlantic, Downtown Norfolk and Portsmouth, and the marine terminals on both sides of the Elizabeth. Portsmouth should no longer take a back seat to regional transportation, but be the leader in regaining our former role as the hub of the region’s passenger rail traffic. This takes strong governmental leadership at the top, built upon knowledge of our historical past, recognition of our current situation and a strong desire to persuade and engage other parties to share our vision - to come on-board and ride with us into a prosperous future. School children at all grade levels should have mandated the wearing of uniforms determined by their individual schools to encourage pride, promote classroom discipline and moreover cut down the clothing cost for parents. Uniforms reduce economic and clothing style competition between students. Uniforms put the poorer students on an even playing field with the more affluent students. Uniform conformity will help identify students that are truant and not in school. Smart looking uniforms will allow students to concentrate on what is important in school - knowledge, learning and self-disciplined behavior. 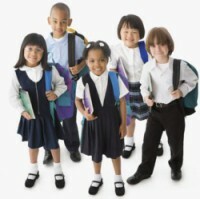 School uniforms will help families burdened with the heavy expenses of raising children. This is very important because the per capita income of our Portsmouth Citizens is the lowest in Hampton Roads. The City needs to do everything in its power to strengthen families, and family values in the community and insure that our public school students can stay focused on achievement and our schools can maintain discipline such that our scholars will succeed in life, make Portsmouth stronger, and make Portsmouth proud. The Hampton VA Medical Center should be encouraged to open a CPAC outreach clinic for its Prime Care Patients in Portsmouth, as it has done in Chesapeake and Virginia Beach. Portsmouth is the hub of Hampton Roads and our location would be far more convenient to inner city Veterans in Portsmouth, North Suffolk, Berkley, South Norfolk, Ghent and in Downtown Norfolk. Locating a CPAC here would certainly strengthen our City’s economy. In conjunction with an intra-modal rail system, poor Veterans could get to a clinic, where they might not have access otherwise. It only makes sense to locate a Veterans Outreach Clinic in Portsmouth with its high unemployment, low per capita income and large number of service veterans. It also makes no sense to put Clinics in Virginia Beach and Chesapeake where the richest and largest white populations reside and not in Portsmouth where we have the poorest and blackest population, many of whom do not or can ill afford to own automobiles. The current “at-large” form of city government is ineffectual and unaccountable and creates an “us” and “them” relationship between the Citizens and the Council in which no Councilman is held responsible for anything and the Citizens who petition the Council are being disrespected and marginalized. An antagonistic atmosphere prevails whenever there is a meeting of the people and the Council. The matter of Citizen participation should not be confined by the ability to address the Council for 7 or 5 or 3 minutes. I call for a reconstitution of the City into racially, economically and socially diverse neighborhood Wards to bring together our people into smaller constituencies where elected Wards men can be held accountable for neighborhood concerns and issues. I propose that the City Council be expanded to have three members elected at large and five members representing Wards and a Mayor elected at-large. This will bring balance, accountability and more effective and responsive democracy to governance and restore the voice of the people. I recommend that Wards men serve for two year terms, at-large members serve for three year terms and the Mayor serve for a four-year term. I believe the The three at large members should stand for election on the same years. This will provide continuity and turnover for Wards men and an organized and systematic means of elections for at large members. This will insure that the will of the people is being upheld and always attended to, in such a manner that the Council never loses sight of who they represent. Because of the math of odd and even years conjunctions will occure when both at-large and Wardsmen will be all standing for elections at the same time and also on even rarer occasions the Mayor will be standing for election at the same time as all. This very interesting occurance will make for a very vital and revolutionary change in leadership wich will benifit the people, and be regulated by outside celestial forces, creating an election process that will benefit democracy and gurantee change. The City should clear the title for the land beneath the Confederate Monument, at the corner of High and Court Street, and sign over a deed to the Sons of he Confederacy fee simple. Even though no title has been currently found in the record for a land transfer, this does not mean that it was not the assured intention of the former City Fathers that the land was given intentionally or unintentionally to the Daughters of the Confederacy for the purpose of erecting the monument. In fact the the minutes of a meeting of the Daughters of the Confederacy show that in 1887 that the land was indeed titled to them by the City. After all these years there would be no sound argument or disputation of value that the Sons of the Confederacy, the current owners, could face, if they were to quick claim on the property beneath the monument by peaceable possession. On the other hand the land could be considered as part of the right-of-way, in which case the City is required by State Law to maintain it for the health and safety of the public. Something, it has always done to my knowledge, as I have witnessed its care and maintenance by the City in the past. In this case the City should give the Sons of the Confederacy a document stating that the City gives them the right to use the property for the dedicated monument in perpetuity. None-the-less, it is a monument, and one of great historical significance to Portsmouth and the State, and therefore protected under the authority of the Virginia Department of Historic Preservation. It most likely is also protected under the National Historic Preservation Act, since it is situated in a National Historic District. This is a monument important to the history of this State and our City and to those who sacrificed their lives in defending it against aggression. It is an important tribute to our City’s past and is a sign of remembrance to those who during another era, gave their lives by the thousands, in the greatest and bloodiest conflict of our history for our Commonwealth. It is also a sign that marks a pivot point in American history that cannot, nor should not be erased, nor distorted for political correctness or social unease. We must remember the past and recognize our turbulent history as we live our daily lives and move into the future. It is the most important sculptural monument in this City, of historical importance and of great tourist value, that adds beauty and character to our urban landscape. I am firmly opposed to the engagement and support of gambling by government. While scratch cards lotteries may be the accepted norm for the State, I feel that it is irresponsible for government to sponsor and promote gambling, including “riverboat gambling”, “casinos”, “dog racing” and other such propositions that have been floated before the people of the City of Portsmouth in the past. This City has enough problems with corruption, crime, hard drugs, poverty, a loss of small businesses and government incompetence weighing us down, to take on the added burden of legitimatizing or promoting gambling. We should not open the doors to gambling's incumbent negative effects on a population already strapped and stomped down. There is a thin line between a government and a mafia. We as a City should keep that distance as far apart as possible and not engage in the promotion of habitual vices that have a deleterious effect on our people and lead them to their own demise, or that might entice government corruption. It is the responsibility of government to be visionary and creative in encouraging legitimate wealth by promoting the development of goods and services to outside markets. The Government should be accountable and willing, as necessary, to raise taxes and revenues for the public good and constructive purposes. The government should have courage in raising taxes but show prudence in not seeking funds for trivialities or squandering. Government should use the money of the people, their masters, as good and faithful servants, but not be timid in informing the people of losses, unexpected costs, or the need to raise additional capital. Our City leadership should not prey upon the ignorant, gullible and addicted to satisfy their own timidity and cowardice by encouraging exploitative state sponsored gambling, just for the easy lucre it might bring to the City coffers.